Tata Motors Limited, formerly Tata Engineering and Locomotive Company (TELCO), is an Indian multinational automotive manufacturing company headquartered in Mumbai, Maharashtra, India. It is a subsidiary of Tata Group, an Indian conglomerate. Its products include passenger cars, trucks, vans, coaches, buses, sports cars, construction equipment and military vehicles. Tata Motors has auto manufacturing and assembly plants in Jamshedpur, Pantnagar, Lucknow, Sanand, Dharwad, and Pune in India, as well as in Argentina, South Africa, Great Britain and Thailand. It has research and development centres in Pune, Jamshedpur, Lucknow, and Dharwad, India and in South Korea, Great Britain and Spain. Tata Motors' principal subsidiaries purchased the English premium car maker Jaguar Land Rover (the maker of Jaguar and Land Rover cars) and the South Korean commercial vehicle manufacturer Tata Daewoo. Tata Motors has a bus-manufacturing joint venture with Marcopolo S.A. (Tata Marcopolo), a construction-equipment manufacturing joint venture with Hitachi (Tata Hitachi Construction Machinery), and a joint venture with Fiat Chrysler which manufactures automotive components and Fiat Chrysler and Tata branded vehicles. Founded in 1945 as a manufacturer of locomotives, the company manufactured its first commercial vehicle in 1954 in a collaboration with Daimler-Benz AG, which ended in 1969. Tata Motors entered the passenger vehicle market in 1988 with the launch of the TataMobile followed by the Tata Sierra in 1991, becoming the first Indian manufacturer to achieve the capability of developing a competitive indigenous automobile. In 1998, Tata launched the first fully indigenous Indian passenger car, the Indica, and in 2008 launched the Tata Nano, the world's cheapest car. Tata Motors acquired the South Korean truck manufacturer Daewoo Commercial Vehicles Company in 2004 and purchased Jaguar Land Rover from Ford in 2008. Tata Motors is listed on the (BSE) Bombay Stock Exchange, where it is a constituent of the BSE SENSEX index, the National Stock Exchange of India, and the New York Stock Exchange. The company is ranked 226th on the Fortune Global 500 list of the world's biggest corporations as of 2016. Tata Group entered the commercial vehicle sector in 1954 after forming a joint venture with Daimler-Benz of Germany. After years of dominating the commercial vehicle market in India, Tata Motors entered the passenger vehicle market in 1991 by launching the Tata Sierra, a sport utility vehicle based on the Tata Mobile platform. 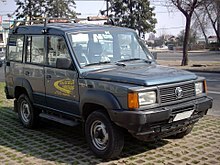 Tata subsequently launched the Tata Estate (1992; a station wagon design based on the earlier Tata Mobile), the Tata Sumo (1994, a 5-door SUV) and the Tata Safari (1998). Tata launched the Indica in 1998, the first fully indigenous Indian passenger car. Although initially criticized by auto analysts, its excellent fuel economy, powerful engine, and an aggressive marketing strategy made it one of the best-selling cars in the history of the Indian automobile industries. A newer version of the car, named Indica V2, was a major improvement over the previous version and quickly became a mass favourite. Tata Motors also successfully exported large numbers of the car to South Africa. The success of the Indica played a key role in the growth of Tata Motors. In 2004, Tata Motors acquired Daewoo's South Korea-based truck manufacturing unit, Daewoo Commercial Vehicles Company, later renamed Tata Daewoo. On 27 September 2004, Tata Motors rang the opening bell at the New York Stock Exchange to mark the listing of Tata Motors. In 2005, Tata Motors acquired a 21% controlling stake in the Spanish bus and coach manufacturer Hispano Carrocera. Tata Motors continued its market area expansion through the introduction of new products such as buses (Starbus and Globus, jointly developed with subsidiary Hispano Carrocera) and trucks (Novus, jointly developed with subsidiary Tata Daewoo). In 2006, Tata formed a joint venture with the Brazil-based Marcopolo, Tata Marcopolo Bus, to manufacture fully built buses and coaches. In 2008, Tata Motors acquired the English car maker Jaguar Land Rover, manufacturer of the Jaguar and Land Rover from Ford Motor Company. In May 2009, Tata unveiled the Tata World Truck range jointly developed with Tata Daewoo; the range went on sale in South Korea, South Africa, the SAARC countries, and the Middle East at the end of 2009. Tata acquired full ownership of Hispano Carrocera in 2009. In 2009, its Lucknow plant was awarded the "Best of All" Rajiv Gandhi National Quality Award. In 2010, Tata Motors acquired an 80% stake in the Italian design and engineering company Trilix for €1.85 million. The acquisition formed part of the company's plan to enhance its styling and design capabilities. In 2012, Tata Motors announced it would invest around ₹6 billion in the development of Futuristic Infantry Combat Vehicles in collaboration with DRDO. In 2013, Tata Motors announced it will sell in India, the first vehicle in the world to run on compressed air (engines designed by the French company MDI) and dubbed "Mini CAT". In 2014, Tata Motors introduced first Truck Racing championship in India "T1 Prima Truck Racing Championship". On 26 January 2014, the Managing Director Karl Slym was found dead. He fell from the 22nd floor to the fourth floor of the Shangri-La Hotel in Bangkok, where he was to attend a meeting of Tata Motors Thailand. On 2 November 2015, Tata Motors announced Lionel Messi as global brand ambassador at New Delhi, to promote and endorse passenger vehicles globally. On 27 December 2016, Tata Motors announced the Bollywood actor Akshay Kumar as brand ambassador for its commercial vehicles range. On 8 March 2017, Tata Motors announced that it has signed a memorandum of understanding with Volkswagen to develop vehicles for India's domestic market. On 3 May 2018, Tata Motors announced that it sold its aerospace and defense business to another Tata Group Entity, Tata Advanced Systems, to unlock their full potential. Tata Motors has vehicle assembly operations in India, Great Britain, South Korea, Thailand, Spain and South Africa. It plans to establish plants in Turkey, Indonesia, and Eastern Europe. Tata Motors Cars is a division of Tata Motors which produces passenger cars under the Tata Motors marque. Tata Motors is among the top four passenger vehicle brands in India with products in the compact, midsize car, and utility vehicle segments. The company's manufacturing base in India is spread across Jamshedpur (Jharkhand), Pune (Maharashtra), Lucknow (Uttar Pradesh), Pantnagar (Uttarakhand), Dharwad (Karnataka) and Sanand (Gujarat). Tata's dealership, sales, service, and spare parts network comprises over 3,500 touch points. Tata Motors has more than 250 dealerships in more than 195 cities across 27 states and four Union Territories of India. It has the third-largest sales and service network after Maruti Suzuki and Hyundai. Tata also has franchisee/joint venture assembly operations in Kenya, Bangladesh, Ukraine, Russia, and Senegal. Tata has dealerships in 26 countries across 4 continents. Tata is present in many countries, it has managed to create a large consumer base in the Indian Subcontinent, namely India, Bangladesh, Bhutan, Sri Lanka and Nepal. Tata is also present in Italy, Spain, Poland, Romania, Turkey, Chile, South Africa, Oman, Kuwait, Qatar, Saudi Arabia, United Arab Emirates, Bahrain, Iraq, Syria and Australia. Tata Daewoo (officially Tata Daewoo Commercial Vehicle Company and formerly Daewoo Commercial Vehicle Company) is a commercial vehicle manufacturer headquartered in Gunsan, Jeollabuk-do, South Korea, and a wholly owned subsidiary of Tata Motors. It is the second-largest heavy commercial vehicle manufacturer in South Korea and was acquired by Tata Motors in 2004. The principal reasons behind the acquisition were to reduce Tata's dependence on the Indian commercial vehicle market (which was responsible for around 94% of its sales in the MHCV segment and around 84% in the light commercial vehicle segment) and expand its product portfolio by leveraging on Daewoo's strengths in the heavy-tonnage sector. Tata Motors has jointly worked with Tata Daewoo to develop trucks such as Novus and World Truck and buses including GloBus and StarBus. In 2012, Tata began developing a new line to manufacture competitive and fuel-efficient commercial vehicles to face the competition posed by the entry of international brands such as Mercedes-Benz, Volvo, and Navistar into the Indian market. Tata Hispano Motors Carrocera, S.A. was a bus and coach manufacturer based in Zaragoza, Aragon, Spain, and a wholly owned subsidiary of Tata Motors. Tata Hispano has plants in Zaragoza, Spain, and Casablanca, Morocco. Tata Motors first acquired a 21% stake in Hispano Carrocera SA in 2005, and purchased the remaining 79% for an undisclosed sum in 2009, making it a fully owned subsidiary, subsequently renamed Tata Hispano. In 2013, Tata Hispano ceased production at its Zaragoza plant. Jaguar Land Rover PLC is a British premium automaker headquartered in Whitley, Coventry, United Kingdom, and has been a wholly owned subsidiary of Tata Motors since June 2008, when it was acquired from Ford Motor Company of USA. Its principal activity is the development, manufacture and sale of Jaguar luxury and sports cars and Land Rover premium four-wheel-drive vehicles. Jaguar Land Rover has two design centres and three assembly plants in the United Kingdom. Under Tata ownership, Jaguar Land Rover has launched new vehicles including the Range Rover Evoque, Jaguar F-Type, the Jaguar XE, the Jaguar XJ (X351), the second-generation Range Rover Sport, and Jaguar XF, the fourth-generation Land Rover Discovery, Range Rover Velar and the Range Rover (L405). TML Drivelines Ltd. is a wholly owned subsidiary of Tata Motors engaged in the manufacture of gear boxes and axles for heavy and medium commercial vehicles. It has production facilities at Jamshedpur and Lucknow. TML Forge division is also a recent acquisition of TML Drivelines. TML Drivelines was formed through the merger of HV Transmission and HV Axles . Tata Technologies Limited (TTL) is a 43%-owned subsidiary of Tata Motors which provides design, engineering, and business process outsourcing services to the automotive industry. It is headquartered in Pune (Hinjewadi) and also has operations in London, Detroit and Thailand. Its clients include Ford, General Motors, Honda, and Toyota. The British engineering and design services company Incat International, which specialises in engineering and design services and product lifecycle management in the automotive, aerospace, and engineering sectors, is a wholly owned subsidiary of TTL. It was acquired by TTL in August 2005 for ₹4 billion. In 2017, TAL, a subsidiary of Tata Motors, manufactured India’s first industrial articulated robot for micro, small, and medium enterprises. The Tata Motors European Technical Centre (TMETC) is an automotive design, engineering, and research company based at Warwick Manufacturing Group (WMG) on the campus of the University of Warwick in Great Britain. It was established in 2005 and is a wholly owned subsidiary of Tata Motors. It was the joint developer of the World Truck. In September 2013, it was announced that a new National Automotive Innovation Campus would be built at WMG at Warwick's main campus at a cost of £100 million. The initiative will be a partnership between Tata Motors, the university, and Jaguar Land Rover, with £30 million in funding coming from Tata Motors. Tata Marcopolo is a bus-manufacturing joint venture between Tata Motors (51%) and the Brazil-based Marcopolo S.A. (49%). The joint venture manufactures and assembles fully built buses and coaches targeted at developing mass rapid transportation systems. It uses technology and expertise in chassis and aggregates from Tata Motors, and know-how in processes and systems for bodybuilding and bus body design from Marcopolo. Tata Marcopolo has launched a low-floor city bus which is widely used by transport corporations in many Indian cities. Its manufacturing facility is based in Dharwad, Karnataka State, India. Fiat-Tata is an India-based joint venture between Tata and Fiat Automobiles which produces Fiat and Tata branded passenger cars, as well as engines and transmissions. Tata Motors has gained access to Fiat's diesel engine and transmission technology through the joint venture. The two companies formerly also had a distribution joint venture through which Fiat products were sold in India through joint Tata-Fiat dealerships. This distribution arrangement was ended in March 2013; Fiats have since been distributed in India by Fiat Automobiles India Limited, a wholly owned subsidiary of Fiat. Tata Hitachi Construction Machinery is a joint venture between Tata Motors and Hitachi which manufactures excavators and other construction equipment. It was previously known as Telcon Construction Solutions. The TATA Motors European Technical Centre is an automotive design, engineering, and research company. Company based at Warwick Manufacturing Group (WMG) on the campus of the University of Warwick in Great Britain. It was established in 2005 and is wholly owned subsidiary of Tata Motors. It was the joint developer of the World Truck. In September 2013 it was announced that a new National Automotive Innovative Campus would be built at WMG at Warwicks main campus at a cost of 100 million pounds. The initiative will be a partnership between Tata Motors, the University, and Jaguar Land Rover, with the 30 million pounds in funding coming from Tata Motors. For details of Tata Motors passenger cars, see Tata Motors Cars. For details of Land Rover and Jaguar products, see Jaguar Land Rover. Tata Motors proposed overhaul of armoured fighting vehicles and infantry main combat vehicles in 2015. The inter-ministerial committee was chaired by Secretary in the Department of Industrial Policy and Promotion (DIPP) approved most of the proposals from the defense Manufacturing sector in India. Tata Motors has unveiled electric versions of the Tata Indica passenger car powered by TM4 electric motors and inverters, as well as the Tata Ace commercial vehicle, both of which run on lithium batteries. Tata Motors' UK subsidiary, Tata Motors European Technical Centre, has bought a 50.3% holding in electric vehicle technology firm Miljøbil Grenland/Innovasjon of Norway for US$1.93 million, and plans to launch the electric Indica hatchback in Europe next year. 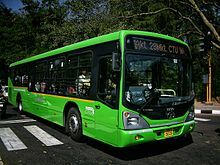 In September 2010, Tata Motors presented four CNG–Electric Hybrid low-floored Starbuses to the Delhi Transport Corporation, to be used during the Commonwealth Games. These were the first environmentally friendly buses to be used for public transportation in India. The Nano was launched in 2009 as a city car intended to appeal as an affordable alternative to the section of the Indian populace that is primarily the owner of motorcycles and has not bought their first car. Initially priced at ₹100,000 (US$1,500), the vehicle attracted a lot of attention for its relatively low price. In 2018, Cyrus Mistry, Chair of the Tata Group, called the Tata Nano a failed project, with production ending in May 2018. 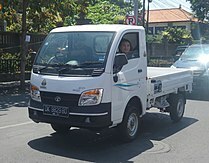 Tata Ace, India's first indigenously developed sub-one-ton minitruck, was launched in May 2005. The minitruck was a huge success in India with auto analysts claiming that Ace had changed the dynamics of the light commercial vehicle (LCV) market in the country by creating a new market segment termed the small commercial vehicle segment. Ace rapidly emerged as the first choice for transporters and single truck owners for city and rural transport. By October 2005, LCV sales of Tata Motors had grown by 36.6% to 28,537 units due to the rising demand for Ace. The Ace was built with a load body produced by Autoline Industries. By 2005, Autoline was producing 300 load bodies per day for Tata Motors. Ace is still a top seller for TML with 500,000 units sold by June 2010. In 2011, Tata Motors invested Rs 1000 crore in Dharwad Plant, Karnataka, with the capacity of 90,000 units annually and launched two models of 0.5-T capacity as Tata Ace Zip, Magic Iris. Ace has also been exported to several Asian, European, South American, and African countries and all-electric models are sold through Polaris Industries' Global Electric Motorcars division. In Sri Lanka, it is sold through Diesel and Motor Engineering (DIMO) PLC under the name of DIMO Batta. The Tata 407 is a light commercial vehicle (LCV) that has sold over 500,000 units since its launch in 1986. In India, this vehicle dominates market share of the LCV category, accounting for close to 75% of LCV sales. Tata Prima is a range of heavy trucks first introduced in 2008 as the company's 'global' truck.Tata Prima was the winner of the 'Commercial Vehicle of the Year' at the Apollo Commercial Vehicles Awards, 2010 and 2012.The 'HCV (Cargo) Truck of the Year,2010' and the 'HCV (Rigid) Truck of the Year, 2012'. First truck range with Common rail engine, Automatic transmission, World-class cabin with HVAC, Air suspension driver seats, Data logger for performance tracking. The trucks have a combined loading capacity of 40 tonnes, ideal for heavy duty shipment. The interior of the Prima is equipped with modern features like GPS, air conditioning, 4-way adjustable driver and co-driver seats, etc. Tata Harrier is a 5 seater SUV set to rival the Hyundai Creta and Jeep Compass. It is derived from the H5X Concept displayed at the 2018 Auto Expo. It was launched in 23 January 2019. ^ "Contact Us - Tata Motors Limited". www.tatamotors.com. Retrieved 30 July 2018. ^ a b c d e f "Tata Motors Financial Statements". Tata Motors. ^ "Financials of Tata Motors Limited". CNN. Archived from the original on 16 October 2013. ^ Bhaktavatsala Patra, C. (20 February 1993). "Structural Configurations and Strategic Investments: Indian Automobile Industry". Economic and Political Weekly. Mumbai, India: Sameeksha Trust. 28 (8/9): M29. ^ "Fortune Global 500 list". CNN Money. Retrieved 14 August 2013. ^ "Tata Motors Market Share". Auto Car Professional. Retrieved 2 April 2019. ^ "Tata Milestones". Archived from the original on 6 December 2010. Retrieved 22 March 2009. ^ "Tata Motors completes acquisition of Daewoo Commercial Vehicle Company". Tata Motors. Archived from the original on 8 February 2010. Retrieved 7 October 2010. ^ "Tata Motors lists on NYSE". ^ a b "Hispano". Hispano-net.com. Retrieved 11 October 2010. ^ "Tata Motors, Brazil co form joint venture". The Hindu Business Line. Archived from the original on 10 October 2010. Retrieved 7 October 2010. ^ "Tata Motors enters into Definitive Agreement with Ford for purchase of Jaguar Land Rover" (Press release). Tata Motors. 26 March 2008. Archived from the original on 5 December 2010. Retrieved 27 March 2008. ^ Tony Lewin (27 March 2008). "Classic names are part of Tata deal". Automotive News. Crain Communications. Retrieved 18 May 2008. ^ "Tata Motors completes acquisition of Jag, Land Rover". Thomson Reuters. 2 June 2008. Retrieved 2 June 2008. ^ "Tata Motors acquires control of Hispano Carrocera". Business-Standard. 20 October 2009. Retrieved 20 October 2011. ^ Shrawan (29 May 2013). "Annex iv: list of award winners of rajiv gandhi national quality awards" (PDF). bis.org.in. New Delhi: Bureau of Indian Standards. Retrieved 15 May 2014. ^ "Tata Motors acquires 80% stake in Italy's Trilix". Money Control. Retrieved 7 October 2010. ^ "Piramal Enterprises picks up 27% stake in Bluebird Aero Systems". Retrieved 18 August 2012. ^ "Tata Motors ropes in Lionel Messi as global brand ambassador - Times of India". The Times of India. Retrieved 2 November 2015. ^ "Tata Motors signs on Akshay Kumar as brand ambassador for its Commercial Vehicles Business". Tata Motors. 27 December 2016. Retrieved 8 February 2017. ^ "Tata Motors to sell defence, aerospace business to Tata Advanced Systems". Moneycontrol. Retrieved 4 May 2018. ^ a b "Tata Motors". Tata Motors. Archived from the original on 11 January 2011. Retrieved 4 June 2009. ^ "Tata Motors International : Company : Profile". Tatacarsworldwide.com. Retrieved 4 June 2009. ^ "Tata Motors International : Global Network". Tatacarsworldwide.com. Retrieved 4 June 2009. ^ "Tata Motors -". Tata Motors. Retrieved 27 September 2017. ^ "Tata Motors España. Coches Tata - Coches Nuevos y Nuevas Ofertas de Tata". Tatamotors.es. Retrieved 28 June 2015. ^ http://selmax.pl, selmax.pl. "Start - sklep internetowy Tata Motors POLSKA". tatamotor.com.pl. Retrieved 27 September 2017. ^ "Davossi". Davossi.ro. Retrieved 28 June 2015. ^ ": Tata Türkıye". Tata.com.tr. Retrieved 28 June 2015. ^ "Tata Motors". Tata-motors.cl. Retrieved 28 June 2015. ^ "Tata Homepage - Tata South Africa". Tata.co.za. Retrieved 28 June 2015. ^ "Tatas readying new line of CVs to take on competition". 14 July 2012. ^ "Media - Tata Motors Limited". Retrieved 27 September 2017. ^ Mike Rutherford (29 March 2008). "Mike Rutherford ponders Tata's takeover of Land Rover and Jaguar". The Daily Telegraph. Telegraph Media Group. Retrieved 30 July 2008. ^ Mondal, Manisha. "Robotic hand rocks manufacturing cradle". The Hindu. Retrieved 11 April 2017. ^ "Tata Motors Unveils New Range Of Trucks". Motorbeam.com. 29 May 2009. Archived from the original on 1 June 2009. Retrieved 4 June 2009. ^ "£100m investment boost for Warwick University". The Independent. 25 September 2013. Retrieved 29 September 2013. ^ "Tata Motors confirms £30m investment in UK R&D centre". The Engineer. 3 December 2013. Archived from the original on 29 November 2014. Retrieved 27 February 2014. ^ "Fiat, Tata Motors set up joint venture". timesofmalta.com. 21 October 2007. Retrieved 1 April 2008. ^ "Fiat to complete split from Tata in sales ops by Mar 2013". Business Standard. 19 September 2012. Retrieved 12 January 2014. ^ "After split with Tata Motors, Fiat begins its solo India ride". The Economic Times. 11 April 2013. Retrieved 12 January 2014. ^ "Tata Motors European technical centre demonstrates latest mobility technology on the Tata HEXA". Automotive World. Retrieved 9 January 2018. ^ "Tata Motors defence proposal receives a nod from the panel". CarTrade. 26 February 2015. Retrieved 27 February 2015. ^ "Customers". TM4. Retrieved 28 June 2015. ^ "TMETC acquires 50.3 per cent stake in Norway's Miljo Grenland/Innovasjon; to launch first electric vehicle". Tata.com. 14 October 2008. Retrieved 2 May 2009. ^ "Tata Motors European Technical Centre". Tata.com. Retrieved 2 May 2009. ^ "Tata to launch EV next year". Just-auto.com. 14 October 2008. Retrieved 2 May 2009. ^ "Air Asia Case Puts Spotlight Once Again on Cyrus Mistry's 'Legacy Hotspots'". The Wire. Retrieved 5 June 2018. ^ "Autoline - A Stamp of Perfection". 9 February 2008. Archived from the original on 9 February 2008. Retrieved 27 September 2017. ^ "tatamotors". Tatamotors. 14 March 2012. Archived from the original on 9 February 2008. Retrieved 8 August 2012. ^ "Autoline". Web.archive.org. 9 February 2008. Archived from the original on 9 February 2008. Retrieved 11 October 2010. ^ "Error - LexisNexis® Publisher". www6.lexisnexis.com. Retrieved 27 September 2017. ^ "TATA Motors Annual Report 2011-2012". Tatamotors.com. Archived from the original on 8 January 2016. Retrieved 28 June 2015. ^ "2019 Tata Harrier launched in India, priced at Rs 12.69 lakh". Retrieved 21 March 2019. 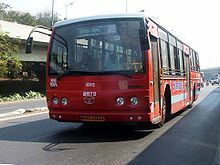 Wikimedia Commons has media related to Tata buses.